All the doors shown here are built in my shop using full mortise and tenon joints, waterproof glue, insulated glass, and 100% silicone weatherstripping and sweeps. The surrounding woodwork is also built in the shop, and every piece of lumber and molding is backprimed, every joint assembled with glue. 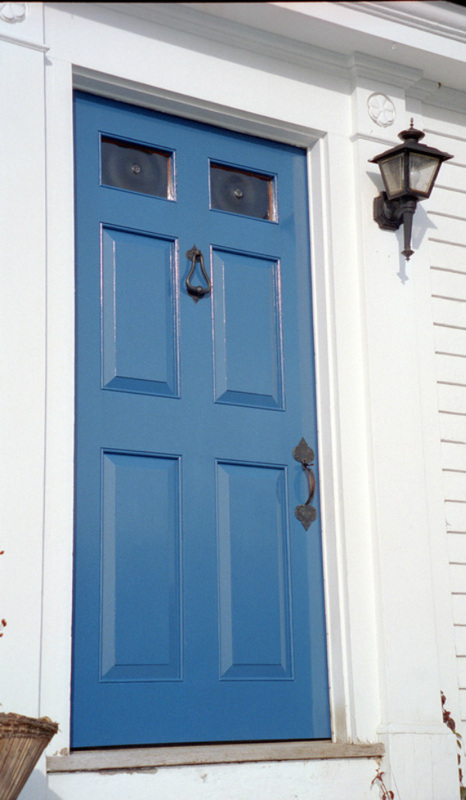 This results in a paint job that lasts and lasts. 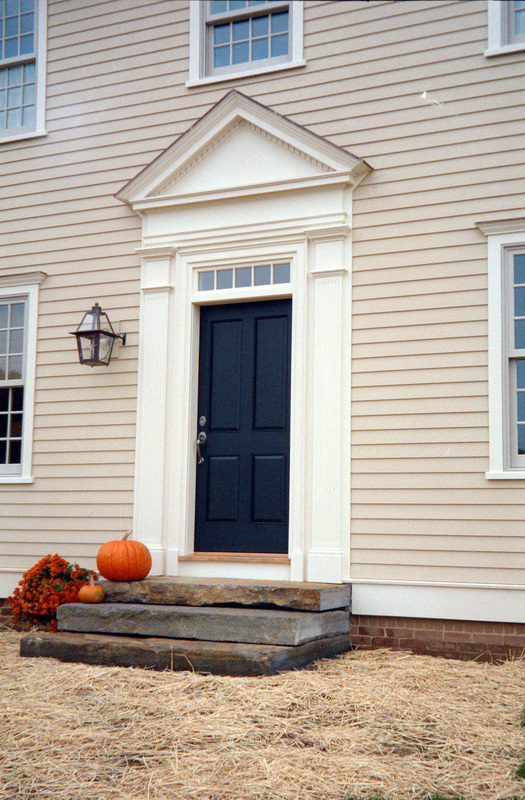 The main advantages of a custom door over a factory door are appearance and durability. 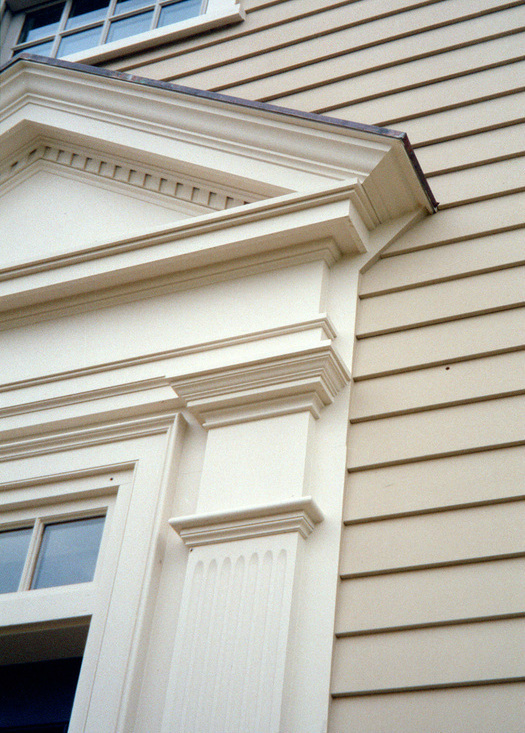 Appearance because the moldings, panel profiles, and detailing have much more clarity and depth; it just looks hand made. Durability because they are built with top quality, straight grained lumber, and will not delaminate or twist. 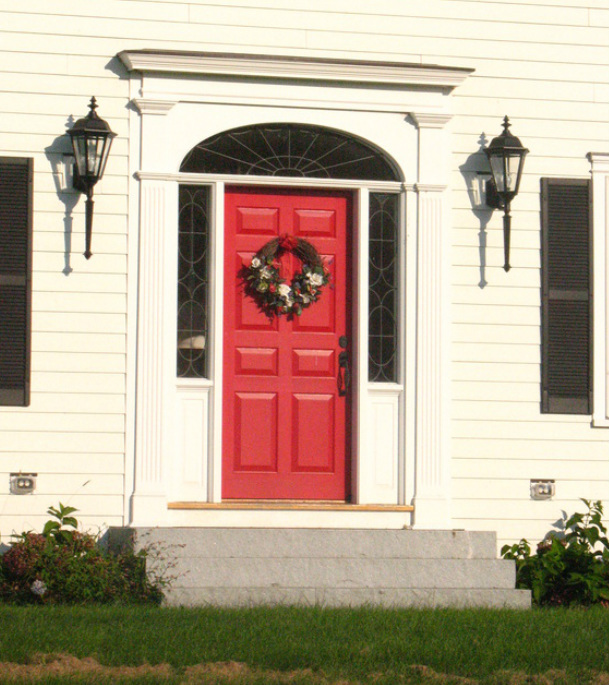 This door has leaded glass (which I designed and subcontracted) in the sidelights and elliptical transom. 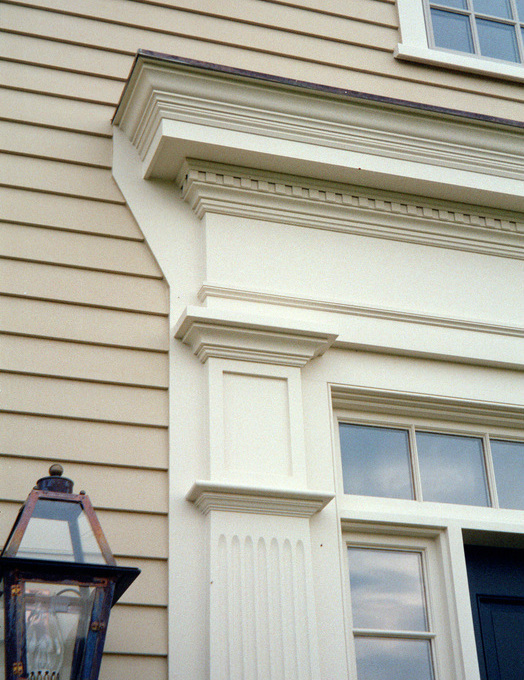 I LOVE working with moldings. 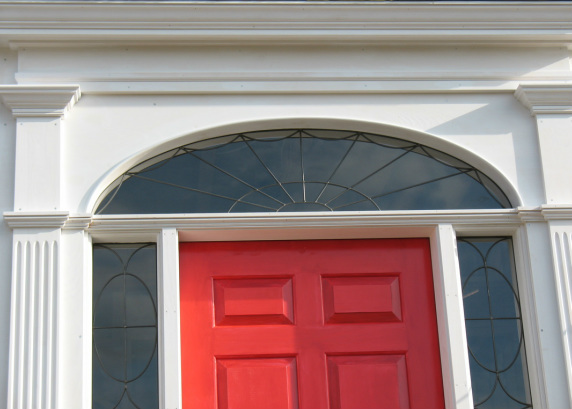 This is a close copy of an eighteenth century doorway on the common in Hadley that the owner especially liked. 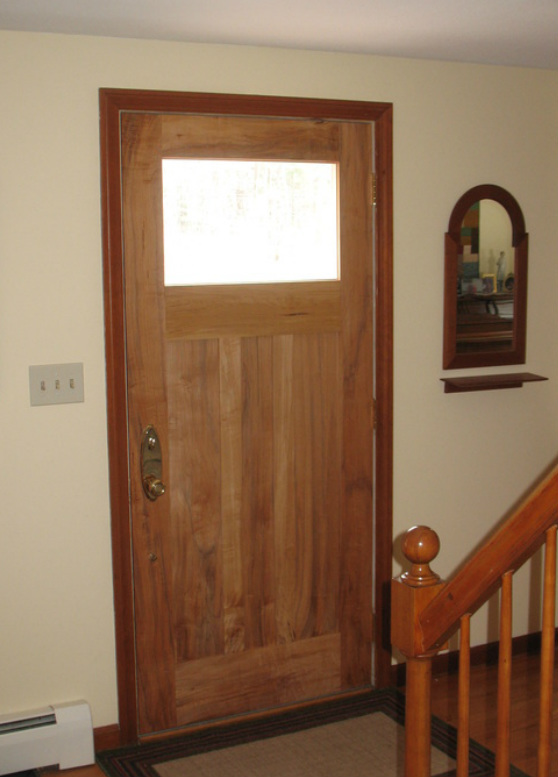 This door was made from an elderly sugar maple that grew just 30 feet from where the door is now. It will be getting a stained glass panel soon. 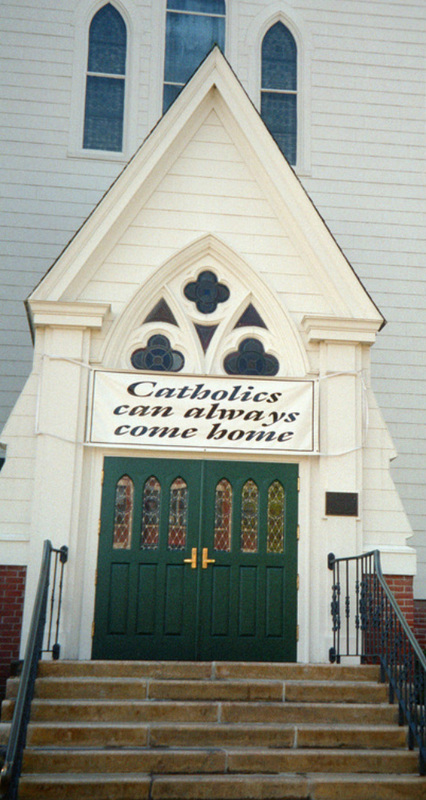 The door surround was existing. 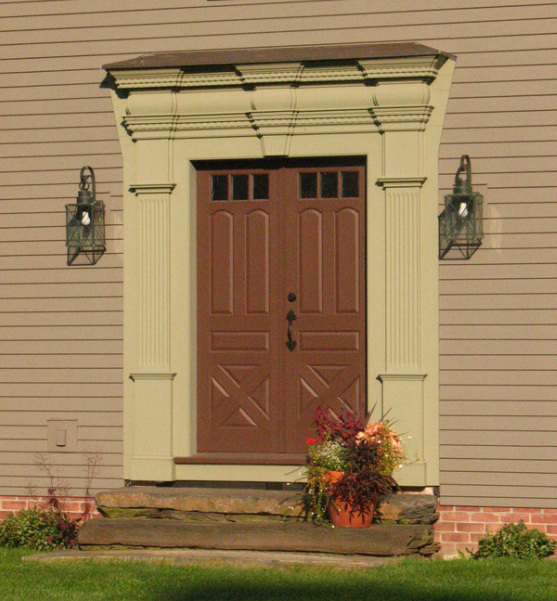 This was a replacement door of clear pine for an 18th century cape. The owner chose a colorful oil paint for the exterior, and a shellac and wax finish on the interior that has a sumptuous soft glow. I often learn something from my wonderful customers. 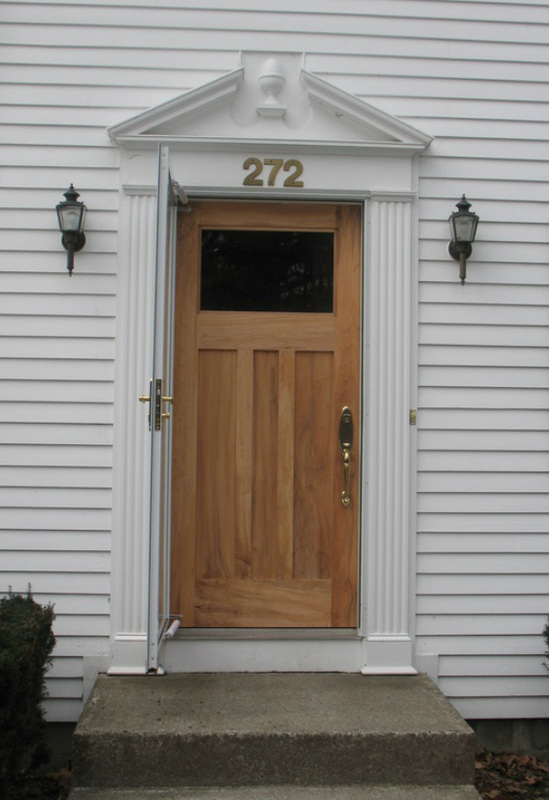 Here's a wooden storm door made with clenched nail construction. 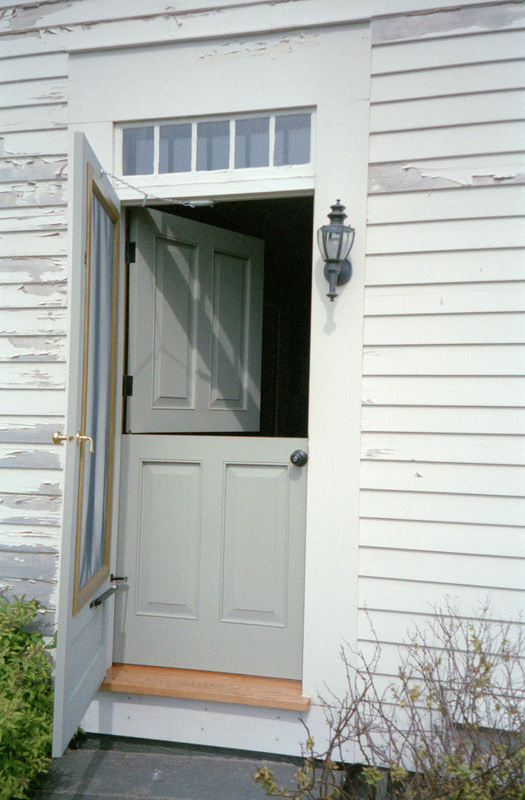 The pintle hinges allow the door to lift off easily for summer storage.